There are as many opinions about which firearms a prepper should acquire to survive a SHTF episode or even TEOTWAWKI as there are firearms. 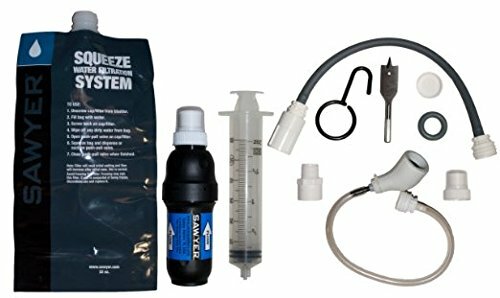 I have written about building a survival battery for beginning preppers as well as oldie military rifles for preppers. But there is one class of firearms that is often overlooked. And that is the lever action rifle. Now, before you start laughing, some very serious weapon instructors such as Gabe Suarez have dusted off the lever-action and shown how it has the capacity to be an effective fighting rifle. There are basically two type of lever-action rifle generally available to the public. Those with open top receivers and those with closed top receivers. Both eject out the right side. The Winchester Mod-94 is an example of an open top receiver. The Marlin 336 is an example of a closed top receiver. Open top receivers are easier to access the chamber for single round loading. 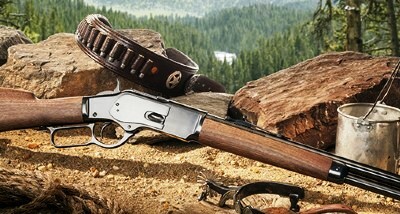 There are other lever-action manufactures such as Mossberg who makes a factory built combat lever-action and Rossi. Almost all lever-action rifles that are suitable as prepper rifles will have the loading gate on the right side of the receiver and use a tube under the barrel as the magazine. So what makes a lever-action rifle a viable prepper rifle? In many localities where “Black Guns” are severely restricted, they seem to ignore the lever-action. After all, it doesn’t have those serious “criminal” features such as detachable magazines, or God forbid, a bayonet lug. It is reminiscent of all the “good guy” cowboys the sheeple have seen in the movies. Ammunition is in common civilian calibers and easily obtained. These cartridges are succesful game and defensive rounds and have been for a long time. The typical sporting versions have short 16″ barrels which make them highly maneuverable in close quarters. They are light weight and easy to carry if you are bugging out on foot. With practice, you can pump out more rounds faster than a bolt-action. The weight and size allow quick target acquisition. They are easy to train novice shooters on. They are relatively inexpensive. You can get usually get a used one for much less than you would invest in a modern style battle rifle. They are extremely reliable and simple to maintain. They can mount scopes or other optical sighting devices. The lever-action can be had in two large rifle calibers and a number of pistol calibers. The two larger re the .30-30 Winchester and the .45-70 Government. In handgun calibers they can be had in .357 Magnum, .44Magnum, and .45 Long Colt, depending on manufacturer and model. Personally, I think the only advantage to having a lever-action in a pistol cartridge would be if you were carrying a revolver as a defensive handgun and wanted interchangeability of ammunition. However this seriously limits your range with the rifle. The .30-30 Winchester would be my choice in a lever-action. This cartridge has ballistics very similar to the Russian 7.62×39 round chambered in the AK. The 45-70 is an excellent cartridge and was designed to take animals as large a buffalo. But I personally feel that the .30-30 is a better choice for the prepper due to availability and cost of ammunition. ammunition to the elements, but many people do like and prefer them. I prefer a dump pouch similar to one that Tactical Tailor makes. Slings should be a simple two point strap sling. The standard lever-action carbine with 16″ barrel in .30-30 could be a serious asset to your survival armory. I keep a Henry Big Boy Steel in 357 ready to go next to my bob at all times. It goes well with my GP100. I own a couple of Henry’s 22lr and 22magnum i feel like id do ok with these two .